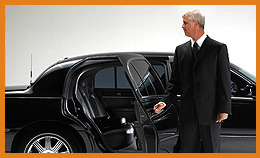 Are you interested in renting a limousine in Rio Rancho? Sunport Limo offers a variety of services including airport transfers, sightseeing tours, wedding transportation and more. Sunport Limo, working with the Star Limo, We bring you complete airport limo and charter limousine service in Rio Rancho . Whatever your airport or downtown limo rental service needs, Sunport Corporate Airport Limousine can help you, with Albuquerque's widest-reaching limousine network, and many more limo service affiliates in the Rio Rancho surrounding area. 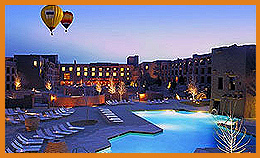 Sunport Limo handles limousine transportation to and from Albuquerque International Airport, wedding limo, prom limo, and party limo rental, extensive tourist limo package and charter bus services, and all other limo services in Rio Rancho and the New Mexico State. Our limousines service the Rio Rancho Area and most areas in the State of New Mexico. Our goal is to provide you with the very best of service, to make your ride as safe, comfortable and enjoyable as possible! ï¿½ Copyright 2010 SunportLimo.com.ï¿½Airport Limousine Limo Rental for Rio Rancho ï¿½| All rights reserved.